You may review the manual online or print it out. If you do not have access to the Aspirus Onbase Policy System please contact the IRB Office at (715) 847-2569 to acquire a supplemental CD of all applicable research policies and procedures for your review. The purpose of this manual is intended as a guide for all who plan to carry out research, whether funded or not funded, involving the participation of human subjects. It provides basic information about what materials are needed to apply for human subjects approval and how to do it. What does the IRB consider research? Research means a systematic investigation (including research development, testiing and evaluation) designed to contribute to generalizable knowledge. What do I need to do to conduct a research project? Please review the Investigator Reference Manual, on the IRB website. Do I need IRB approval to send study data to an outside site? Yes, you do need IRB approval to send study data to an outside site. Do I need IRB review/approval for Quality Improvement and/or Quality Assurance Activities? Typically QI/QA efforts are NOT research. However, in some cases quality improvement activities are designed to accomplish a research purpose as well as the purpose of improving quality of care, and in these cases the regulations for the protection of subjects in research (45 CFR part 46) may apply. To determine whether the regulations apply please contact the IRB office. What types of IRB review are there? Types of IRB review include convened full board, expedited, and exempt review. All applications are submitted through IRBManager, the online electronic application submission system. What is the difference between Full Board, Expedited and Exempt Review? Expedited review is for minimal risk* studies that fall under one of the specified categories listed in the IRB Expedited Review Standard Operating Procedure (SOP), which are also listed on the Initial IRB submission form. This review is conducted generally by one primary reviewer and typically is not does need to wait for review at the monthly convened Full Board IRB meeting. Protocols approved under Expedited review are however, subject to ongoing continuing reviews. That timeline is determined at the time of determination for approval. Exempt review is for research studies that federal regulations have identified as those that can be exempt from IRB review. 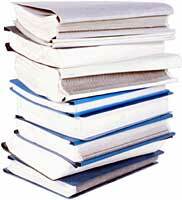 Research studies must be minimal risk and must fall under one of the specified categories. Most institutions, including Aspirus, require an IRB Administrative review to determine whether the claim for exemption is appropriate and whether exemption will be granted. Once exemption is granted, protocols are exempt form continuing IRB review unless it changes and no longer qualifies. *Minimal risk means that the probability and magnitude of harm or discomfort anticipated in the research are not greater in and of themselves than those ordinarily encountered in daily life or during the performance of routine physical or psychological examinations or tests. Does Expedited review mean that my protocol application gets processed faster? No, Expedited review doesn't mean your protocol application is processed faster; rather instead of two or more reviewers and the full board, only one primary reviewer is assigned to review your protocol. However, most expedited protocol applications submitted are processed within a few weeks versus waiting for the full board IRB meeting, which meets once a month. Contact the IRB Office at 715-847-2569 or ext. 72569 to acquire access to the on-line IRB application and various other forms for submission through the CYBERIRB electronic submission system. hich form should I use when requesting my research project be reviewed by the IRB? 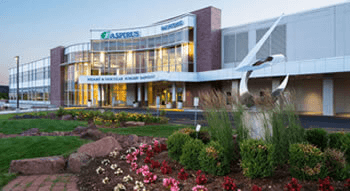 Aspirus Wausau Hospital has transitioned into utilizing the internet to submit applications to the IRB through the use of a new program, "IRBManager". This program is accessible from any computer at any site through this website address link. If you are a new Investigator or an investigator who has previously submitted a paper IRB submission form please contact the IRB Office 715-847-2569 to receive instructions, a USER ID and Password to access IRBManager. All requests to the IRB for review should be submitted electronically through the IRBManager program. The AWH IRB meets on the 3rd Tuesday of every month. Please refer to the meeting dates on the home page of this section. What if I still have questions after reading the Investigator’s Manual?